Gasparilla is an exciting event for natives of the city of Tampa — college students in particular. It is an all-day party full of action and fun. 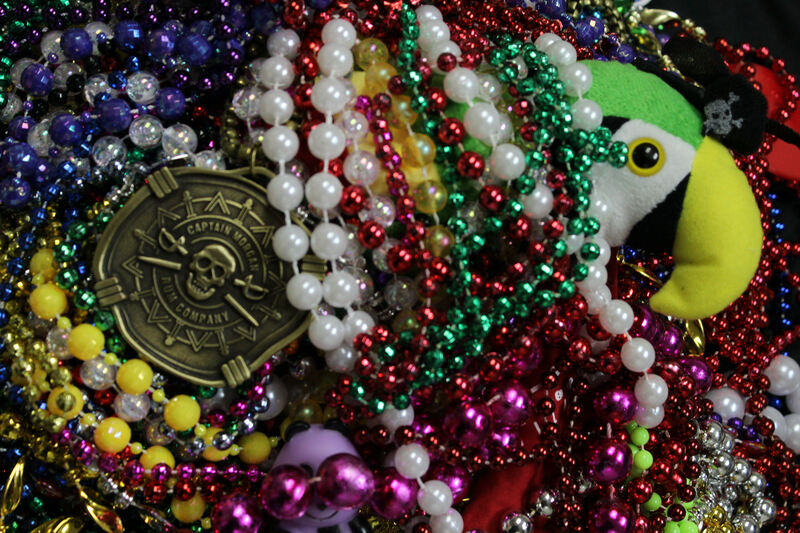 Everyone is dressed up in their best pirate outfits, draped in mardi-gras beads, ready to have a great time with their friends. Some people even fly in from out of town to attend this annual party. However, there are a few people who did not take part in the Gasparilla fun, me being one of them. I did not go to Gasparilla for a few reasons, with one reason in particular being that it just does not interest me. I like to think of myself as a laid back and relaxed person, so the party atmosphere just does not really suit my personality. I am a sports enthusiast so anything sports related gets my full attention. I am one of those people that would rather watch eight hours of sports, than go party with thousands of people. I have plenty of friends that went and had a great time, so I am very glad they enjoyed taking part in the traditions of Gasparilla and made it out safely. Another reason I did not attend Gasparilla was because of what goes on during festival. One thing that comes with college students and all-day partying is drinking. I am like any other college kid so I am constantly on Instagram, Snapchat and Twitter, so I saw pictures and videos throughout the day, a lot which were very fun and innocent like people dressed as pirates catching beads from parade floats, but some of which were dangerous. Videos of people drinking, jumping off of roofs of houses and people smoking were some of the videos seen. I am not saying it is wrong because hey – its college, everyone does it. But it is just not for me. I overheard a girl talking to her friend at the dining hall a few days after Gasparilla and she said that she saw four people leaving in an ambulance within an hour. That just does not sound fun to me. If you are 21 or over it does not matter, but I feel that there is a lot of underage drinking that goes on at Gasparilla. I just believe that some people take it to the absolute extreme, where it can become unsafe to them and the people around them. Another thing that I think goes on at Gasparilla is peer pressure. When you are with a group of your friends, especially males, some might try to influence you to do things you wouldn’t normally do. People would then feel the need to prove them wrong and do something stupid to fit in. Now as college students grow older, this happens less and less and people start to care less about what people think about them, but when alcohol gets involved the situation gets very messy and people start getting hurt. Like I said before, drinking is not bad – it just isn’t for me and I know people who don’t drink and still had a great time at Gasparilla. However, a very good amount of college kids are drinking unhealthy amounts during Gasparilla which can become very dangerous and is one of the main reasons why I chose not to attend. Travis Politakis can be reached at travis.politakis@theminaretonline.com. Follow him at @travis_jou.